Unique and advanced technique to produce and retain a coveted glowing skin without surgery or side effects. Discover a smoother, healthier and younger side of you today! Revitalise your skin with plasma rejuvenation. Be the recipient of envious stares with your new celebrity-like look. Turn back time for your skin safely and effectively. Pay online and get a fee reduction of Rs. 100 on in-clinic appointments. Dr Rasya Dixit, Medical Director, is a trusted clinical and cosmetic dermatologist from Bangalore, with more than 10 years of experience and expertise in her field. You can get answers to all your health-related questions, book online appointments and even share your health record with Dr. Rasya Dixit, from her Virtual Practice. 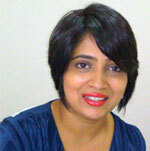 Dr. Rasya Dixit has her special interest in skin care related treatments. Dr. Rasya also specializes in effective hair treatments. 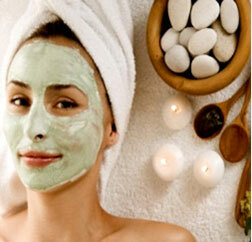 As one of the best dermatologists in Bangalore, body.. Outstanding Skin Care Expert!!!! Dr. Rasya Dixit is an amazing physician, who has mastered skin care, and also has superb interpersonal skills. After doing my rounds with dermatologists in the city , I was very happy to find her. Words can not express my sincere gratitude for how Dr. Rasya transformed my skin. When I first visited Dr. Rasya, I hid under a layer of makeup and often felt a little insecure without my makeup and additives because I suffered from acne and very dark blemishes. I came to her office depressed by the state of my skin caused by the stress of my profession in general. After a few months, Dr. Rasya’s treatments seriously TRANSFORMED MY SKIN. Thank you doc! In short, Dr. Rasya is an amazing skin and beauty expert. She is always very knowledgeable of the recent skin care developments. Also, she is very patient, always willing to answer questions.The best thing about her is that she never “over prescribes” any treatment , but always suggests the best one taking a lot of factors into consideration. And it works ! I owe my acne free – glowing complexion to her Dr. Rasya’s demeanour and professionalism and that of her staff clinched my 100 star rating !!! I have been receiving treatment at Dr.Rasya’s clinic for the last 5 months now. Before going to her, I was told that there was little i could do to save my hair by other doctors. My baldness is hereditary – but i am only 26! Even though I went to her at a pretty advanced stage of male pattern baldness , she immediately put me on a simple treatment – both oral medicine as well as a topical treatment.She also suggested a suitable diet – high on proteins to help with the health of my hair. 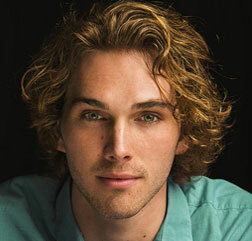 Within a couple of months, the hair grew thicker and denser. I started to see new hair appear where there were none and my hair fall has decreased to almost nil. Dear Dr. Rasya, I just wanted to thank you very much for clearing up my skin! I have never had skin issues before this but had been suffering from this contact dermatitis on my face and neck for several months. I have visited several other doctors and gone through treatment with steroid creams and tablets, various lotions and moisturizers, all sorts of tests but the relief was always only temporary. The itching and burning were terrible and also left black marks on my face and neck which were very unsightly. You gave me a lot of attention and asked in-depth questions. The creams and ointment that you prescribed, as also the intensive “sealing in the moisture” by spraying spring water on the affected areas before moisturizing worked extremely well. I am now almost totally clear of the problem; thank you very much! Am glad that I finally met a doctor I could trust my skin with. Am extremely happy with the Lazer hair reduction treatment. No scar no fuss…and fantastic results. Experience is great. Having laser treatment here and happy with the results. Thanks!! Dr Rasya is one of the best dermatologists I have visited. She clearly explains the cause of the medical condition, the treatment procedures, side effects if any, and the time taken for the results. I am satisfied with the results of my treatments. She worked the best for me! I had acute acne and pigmentation issues which am almost out of it :) in just couple of weeks (it took around 8 weeks to show on my skin)... The LED treatment is the best of all ..gives amazing results and very affordable. Seems like my struggle with acne has to an end. I have consulted quite a few dermatologists and all ended in making it worse (6 Years Phew)! I would definitely recommend her!!! This is an acknowledgement and thanks to you for the fantastic work of beautifying my skin, through the complete removal of all acne and numerous warts that has been a very painful part of my growing up from early childhood! I am deeply indebted and extremely grateful for your expertise and skill as a Cosmetic Surgeon, and the patient way in which you worked to remove every trace of those ugly warts! I now enjoy a clear complexion, thanks to you Dr.Rasya and write this as a testimonial to your expertise as a Doctor so that it can be viewed by anyone interested in your Cosmetic Therapy and beauty treatment!!! If ever there was a fountain of youth, surely there would be miles-long queues to drink from it! A youthfully glowing, healthy skin is surely nature’s best gift to mankind - after all, everyone wants to look youthful, no matter what their age. Aside from being the largest organ of the body, the skin is also the body’s first line of defense against the numerous unpredictable factors of life. And with the passage of time, the numerous vagaries that the skin gets to face begin to show up on its surface. The effects of pollution, unhealthy diets, excessive use of alcohol and smoking, stress, ageing, acne and skin infections and eruptions all leave their mark on the skin and after years of abuse, all these begin to show their effects on the skin with discolorations, blemishes and scars leaving a sallow and flaccid skin. Unfortunately, most people tend to put off taking care of their skin till the last possible moment. However, with the advent of modern technologies, there is almost no blemish, wart or wrinkle that a visit to the dermatologist cannot banish. As your dermatologist will explain to you, skin care and treatments focus on enhancing the integrity and appearance of the skin, aside from relieving it of various skin ailments. This includes attention to your diet and the proper intake of correct nutrition, avoiding excessive sun and having sufficient sleep and exercise. Other ways of enhancing your skins appearance at the dermatology clinic include the application of Neuromodulator Treatment, exfoliation, microdermabrasion, chemical peels, laser resurfacing, fillers including hyaluronic acid solutions and non-surgical facelifts. Unsightly warts, skin tags and moles have also become a thing of the past and can be removed with minimal pain on an outpatient basis – you would be surprised to know such procedures are increasingly being done during office lunch-breaks! It’s that simple. However, other skin treatments including deep acne scarring might need multiple visits, but you can be assured of an unblemished face by the time you are through with your treatment. If you happen to be living in Bangalore, the best place to get your nagging skin issues attended to would be at the Dr. Dixit Cosmetic Dermatology Clinic in Koramangala. Here, skin care is an art practiced to perfection by Dr. Rasya Dixit. Backed up with the latest technologies, she is an expert on all kinds of skin ailments and strongly believes in listening in to her patients needs first before deciding on an individualized treatment regime, based on their tolerance and needs. That being said, many of her patients are out for adding a youthful look to their skin – after all, with growing job competition, everyone wants to look younger and able to cope up with job demands. She has the answer to this also – hydrating the skin from inside out using hyaluronic acid that grossly improves the quality of your skin, taking years off your age! So whether you are looking for ways to look more youthful or have some skin ailments to get rid of, Dr. Rasya Dixit is definitely your best savior or "Knight in shining armor"! Get confirmed appointment slots for your online bookings.